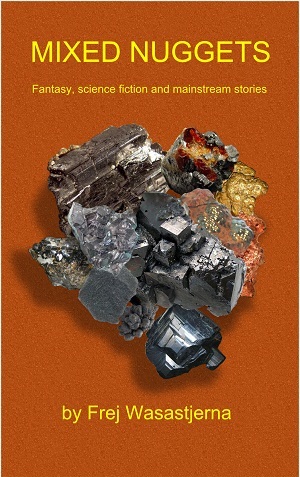 This site contains some of the stuff that I've written, most of it fiction. Some good stuff is missing because I'm trying to sell it (It's now available in Mixed Nuggets, see below). On the other hand I've also left out the worst crap. You are very welcome to download my work and give it to others, provided you make sure I remain identified as the author and you send me a message telling me. You can use the "Send a message" box on the left or e-mail me directly at firstname dot lastname at gmail dot com. Note for people who find the stories in Mixed Nuggets unsatisfactory and want something with more characterization, a fully developed story arc, maybe even character development: Leonids and Paratime Encounter should be more to your taste. Greetings to those who've read Leave-taking in Escape from Helsinki. If you are looking for the answer to why a space lighter would need propellers, go to the Background information section in the Science fiction directory. Scroll down to the section on Nega-mass propulsion, in particular the last two paragraphs. 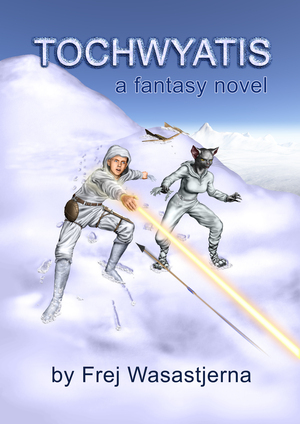 Tochwyatis: contains links relevant to my fantasy novel of that name, such as audio files with the pronunciation of the names in the novel and a list of all persons appearing in it, also links to sites where you can buy it. Music: Currently this page contains 4 songs by my son Leo. Map grids: This directory is for the convenience of other science fiction or fantasy writers who want to draw maps of their worlds and do it right, including a latitude and longitude grid. 2018-11-17: Natten till ära (17.-18.11. = Leonidernas natt) har jag satt upp min egen översättning till svenska av min engelskspråkiga novell Leonids i avdelningen "På svenska". 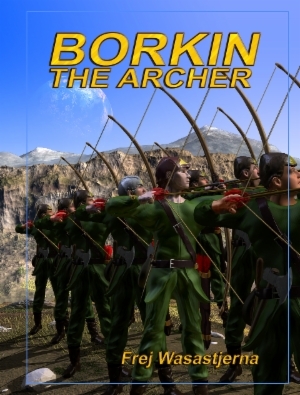 2018-11-16: Borkin the Archer has been available from BoD both in print and as an e-book since August 2017, but a slightly improved e-book version for Smashwords is being prepared. I've also begun providing battle maps and information about how to simulate the battles, see the Borkin the Archer subdirectory available via the link above. But taking care of two cats and helping to take care of two grandkids still occupies much of my time. The naval war game Combat at Sea is progressing and may become available in 2019. The other naval war game mentioned in my 2017-05-31 message has been shelved for the time being. 2017-11-07: One Thought added (not very original). 2017-08-24: Updated information about ﻿Borkin the Archer. 2017-07-03: The impending release of ﻿Borkin the Archer﻿ at Worldcon 75 has been announced. A silly joke has been added to Thoughts. 2017-06-17: I've put up the Soininvaara quote. 2017-06-04: Now the Quotes page is up. The quote from Taavi Soininvaara will be added later. 2017-05-31: When I wrote four years ago that taking care of my cats would take up much of the time that I might otherwise spend writing, I meant it. And for the last three years, I've also had a granddaughter to help take care of and soon I expect to have a grandson as well. So it's no wonder that I haven't been able to spare attention for this website. However, I've continued writing, as much as I've had time for, and my novel Borkin the Archer will soon be published, hopefully in time for Worldcon 75. I plan to put up a page for that novel soon, and also a page containing memorable quotes, beginning with quotes from George R. R. Martin, Poul Anderson and Taavi Soininvaara. By the way, the teasers for my books have now been moved to the pages describing the books themselves, to avoid cluttering up this page. I now have two naval war games in the pipeline, but don't expect them soon. Maybe 2019 at best.